When meeting with someone, it is important that you consider the time and date of availability that they have. You can’t just come in unannounced and expect them to entertain you when they still have a lot of things to do. Making an appointment is always the way to go when meeting with someone, especially when that someone is a busy person. 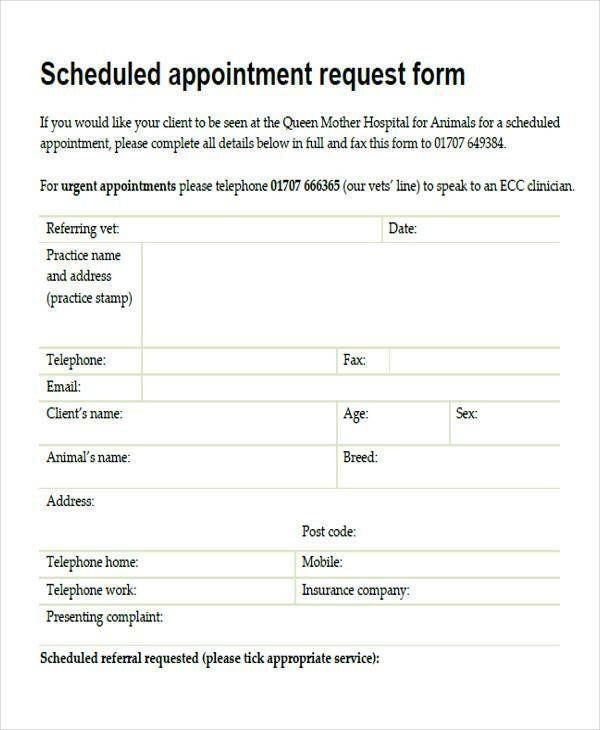 There are many ways of making an appointment. You can either call in advance or send an email. But sending them an appointment letter is still not out of fashion. Sending an appointment letter goes to show that you have exerted tie and effort in meeting them, and that meeting with you is worth it. 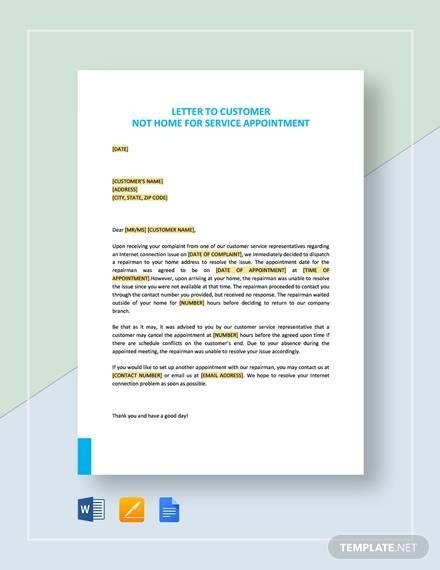 If you are not sure how to make these letters, worry no more as we have sample appointment letters that have the right format. Check them out below. When wanting to meet with a client, a business partner or entity who has a lot on his or her hands, you do not just simply barge into their office and expect a smooth conversation with them right then and there. You would need to make sure that they do not have anything in their schedule during that time. That is why you would need to make an appointment. This is not only good professional practice but it also shows that you respect the time that the other person has. This means that you recognize that they have quite a handful of things to do and that you would like to take a part of their time. 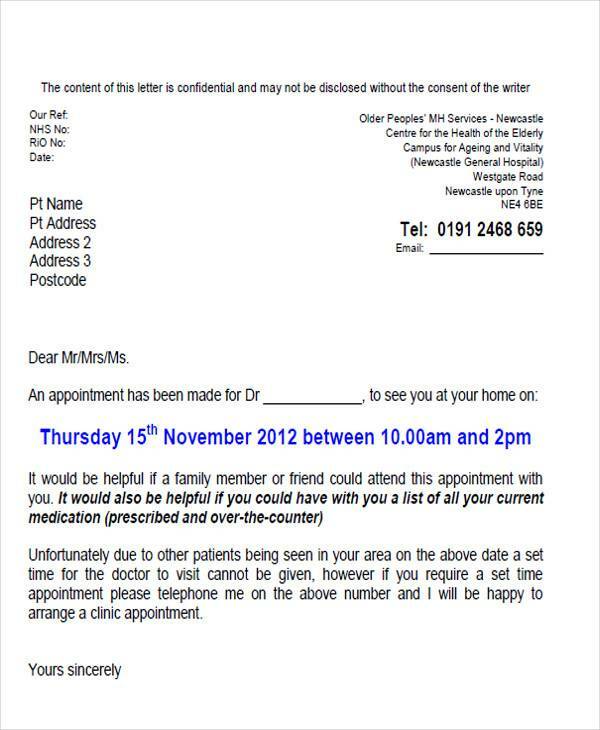 One of the ways of setting appointments is by sending them an appointment letter. 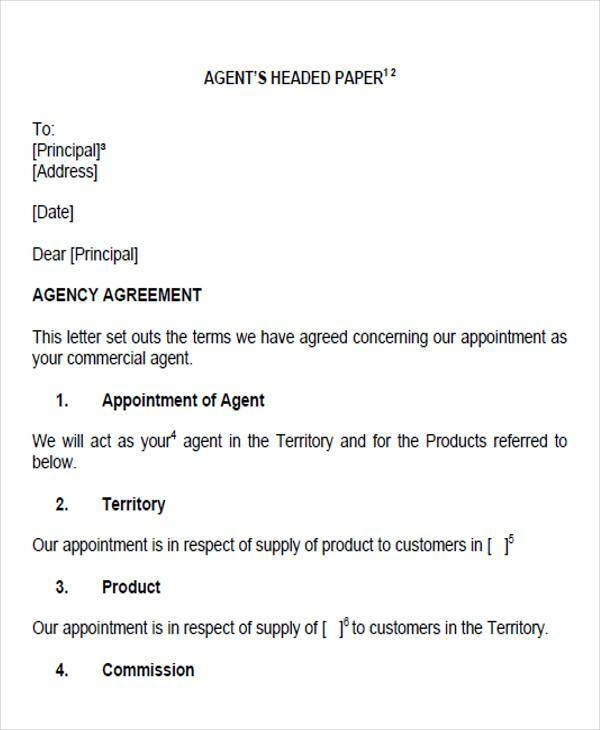 An appointment letter is a document that you send to someone to make an arrangement to meet them at a specified date and time. 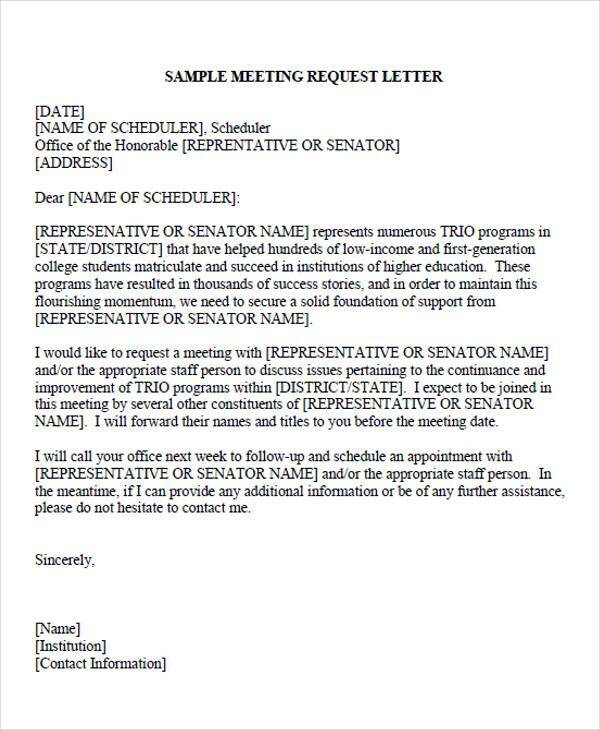 By sending them this letter, you let them know of your desire to meet with them so they can look at their schedule and see if they can accommodate you. 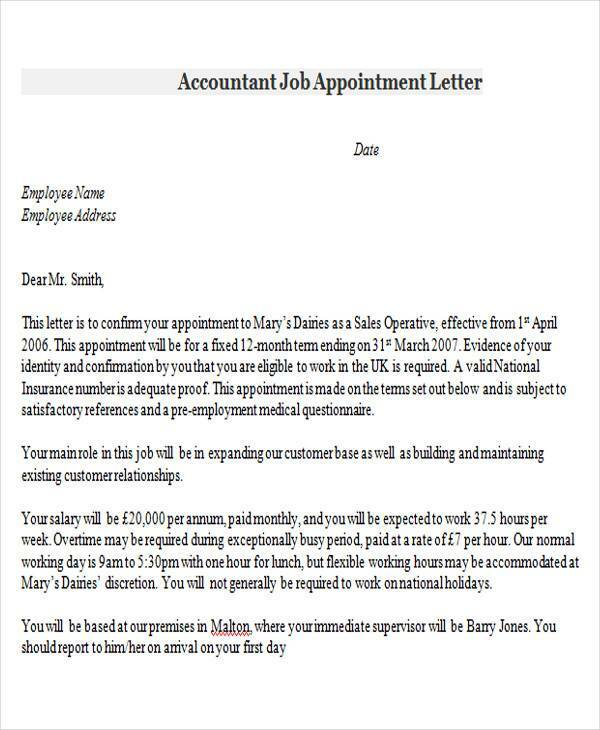 An appointment letter is also sometimes used as a document for assigning a role to someone or something, a job appointment letter. 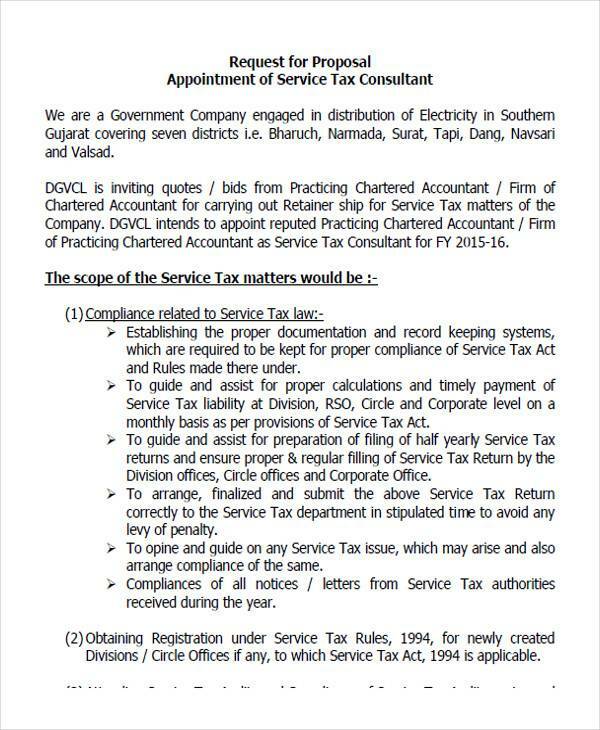 For instance, a certain company may be appointed as the auditing company for your business. 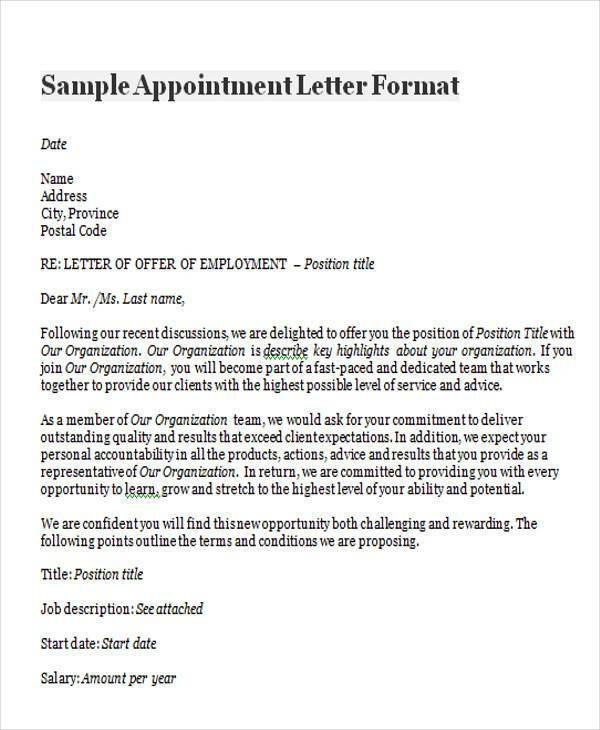 You will send them an appointment letter citing that they were chosen to do the job. To make a job offer. HR are some of the people that can make good use of these documents. When doing a job offer, they would need to tell someone that they would like to meet them for the offer. 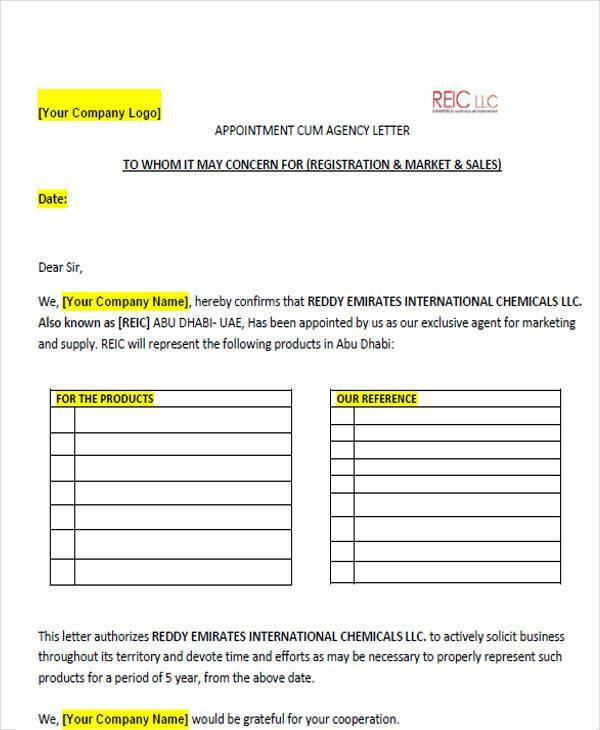 Sending out an appointment letter to them is the best way to do this. To make a doctor/dentist appointment. People in the medical field often have a lot on their hands on a daily basis. When needing to meet with them, you would need to make an appointment. 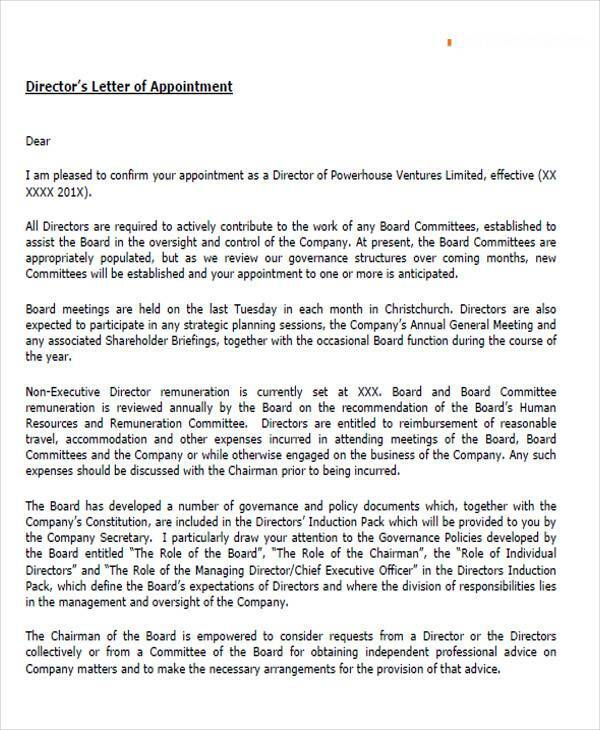 To appoint someone to a certain position. You may assign someone to do a certain job for your business. It could be an accountant, an auditor, etc. 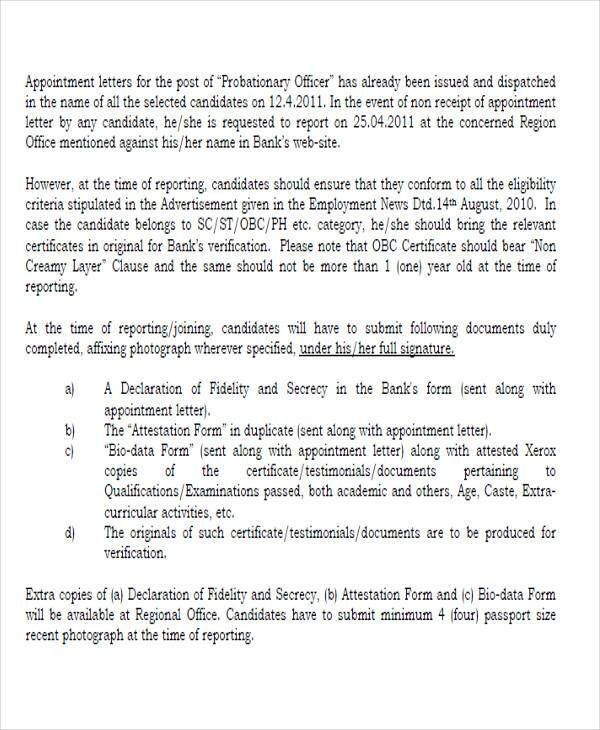 When appointing them, you would need to send an appointment letter. To set up a meeting. 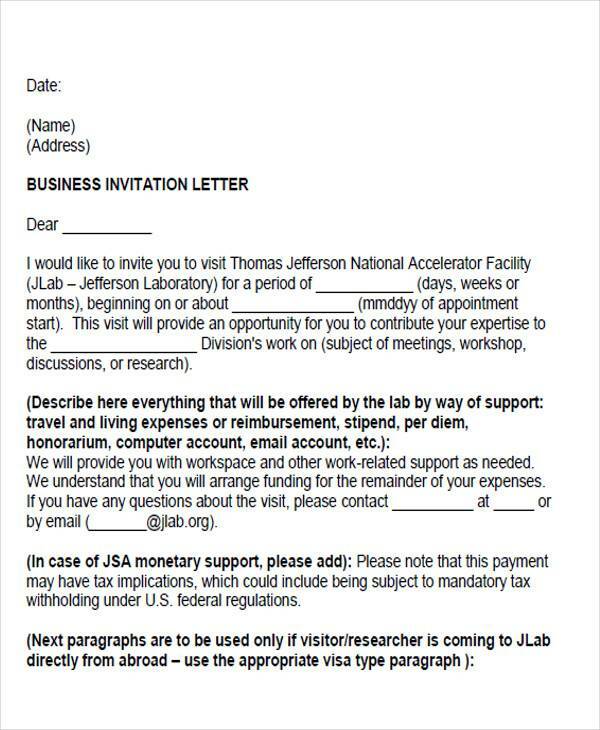 You need to send an appointment letter when wanting to meet up with someone, especially in a professional setting. 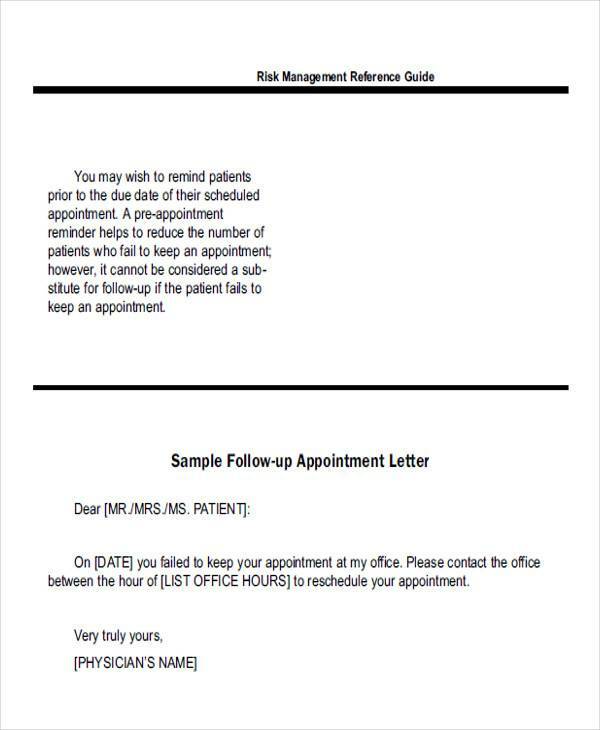 The HR is often one of the most common people that make use of appointment letters. They make a job posting and they often receive hundreds or even thousands of application letters. With these applications, they would need to review each one and see which ones are qualified for the next steps of the recruitment process. When done with the, they would then need to notify the applicants for these next steps. 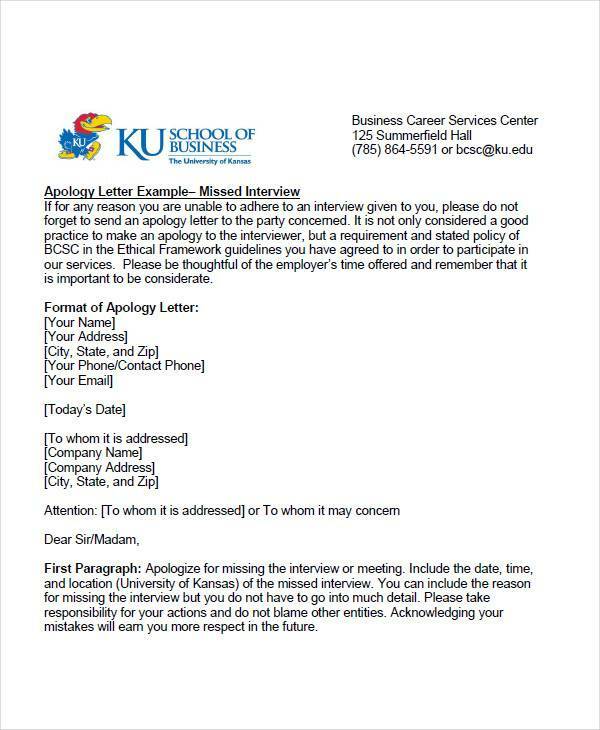 They could send a job interview appointment letter to arrange an interview with them. 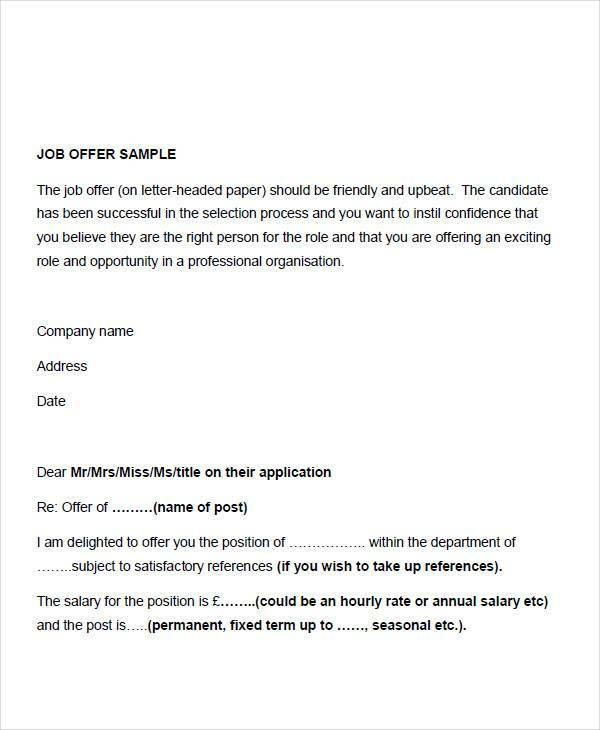 Also, when they are accepted for the job, HR would need to send a job offer appointment letter to make the job offer. 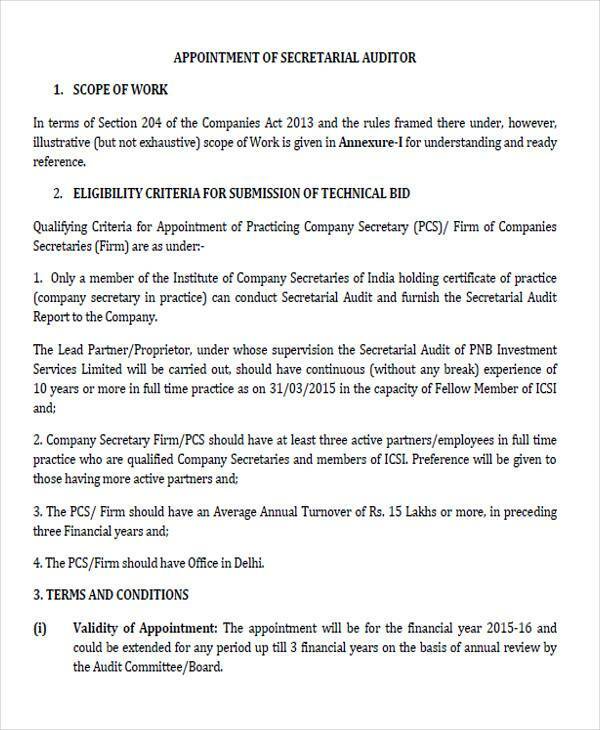 Below are the steps that needs to be followed when making a job offer appointment letter. 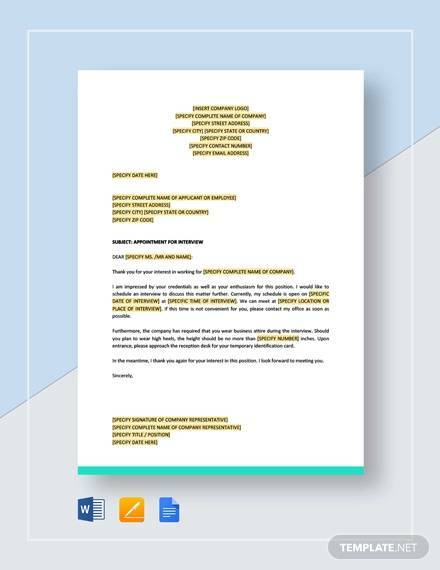 Follow the standard business letter format. 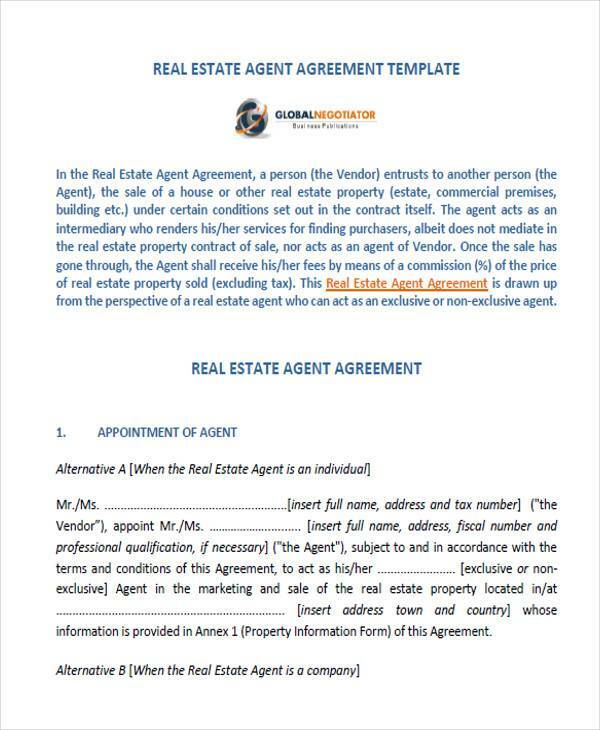 Since the letter is a formal document, be sure to keep it professional by following the business letter format. 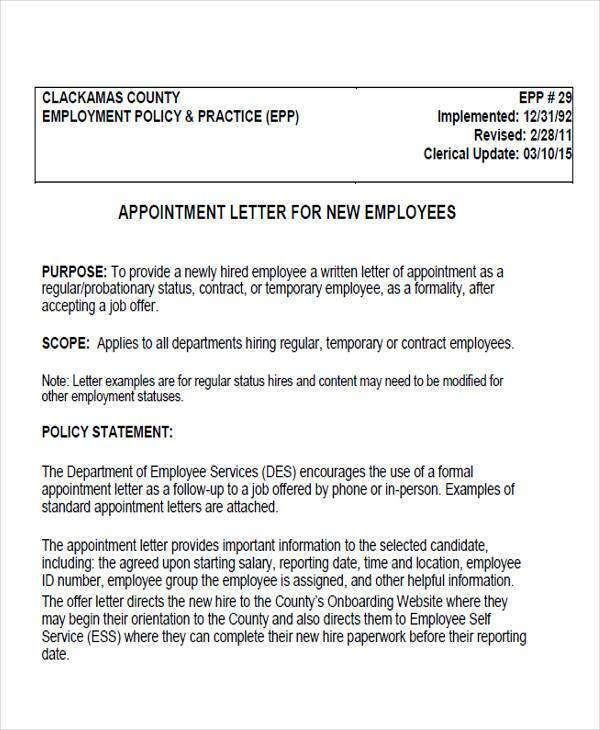 Your company may already have a letter format for these types of documents so make sure to follow that. Have a pleasing, welcoming opening on your letter. You are extending a job offer to the other person so be sure to provide a joyful mood on your writing. Immediately tell them why you are writing and that is to offer them a position in your organization. Exactly tell them the position as well as the starting date so there is no confusion. Clearly state all the details about the job. 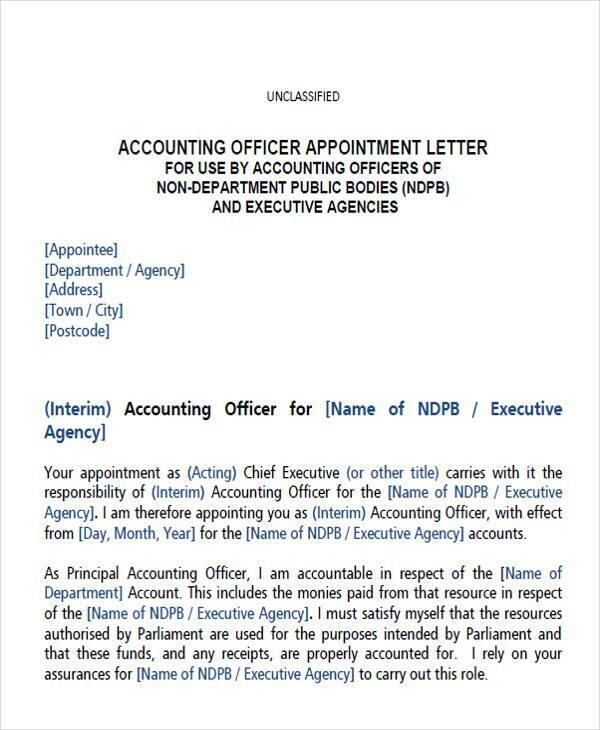 You would need to include all job details in the letter. Be sure to write their duties and responsibilities. Also include the work hours. Mention the salary and the benefits that you offer. 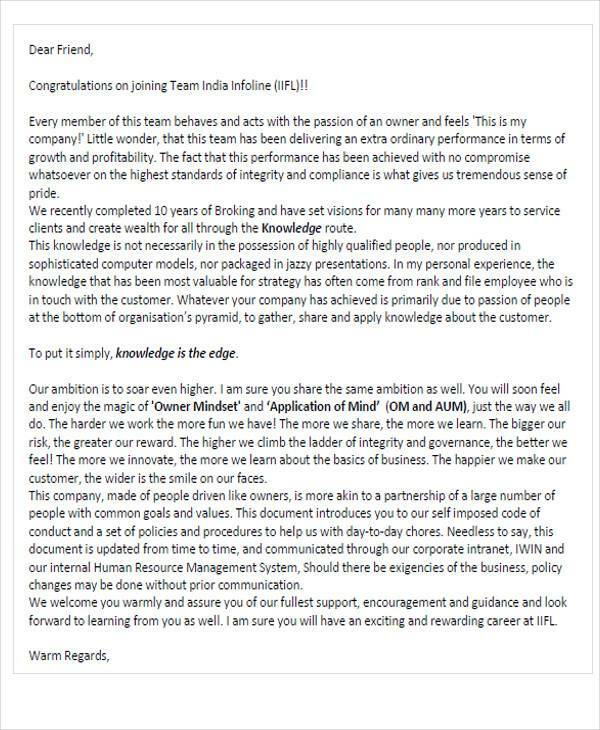 These things were already discussed in the interview and putting them in the letter reinforces the fact that everyone agrees to all the terms that were discussed during the interview. Ask them to sign and date the letter. 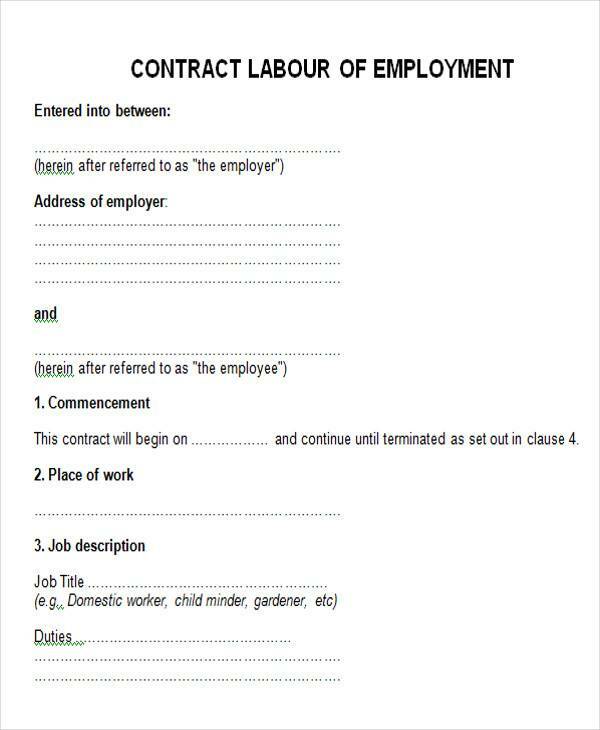 Make sure to provide a space where the employee can sign and date the letter. 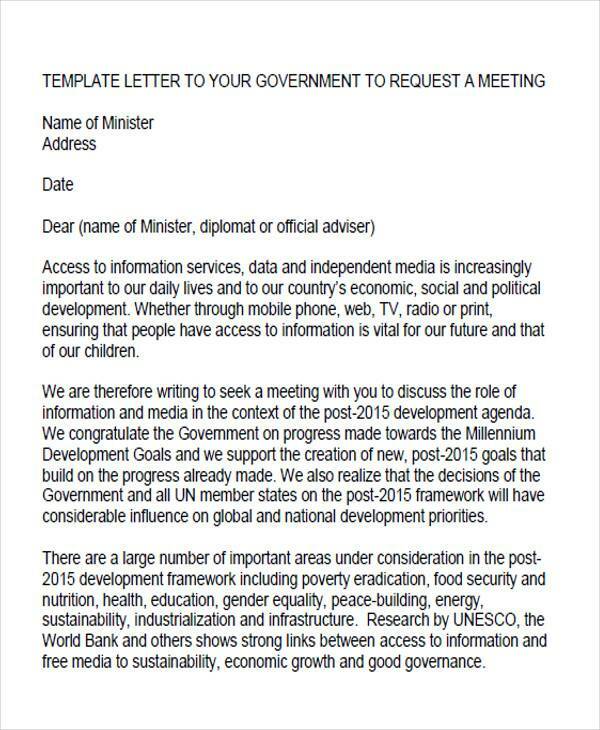 You can provide this space at the bottom of the letter. Also, tell them when you would want the letter to be returned. 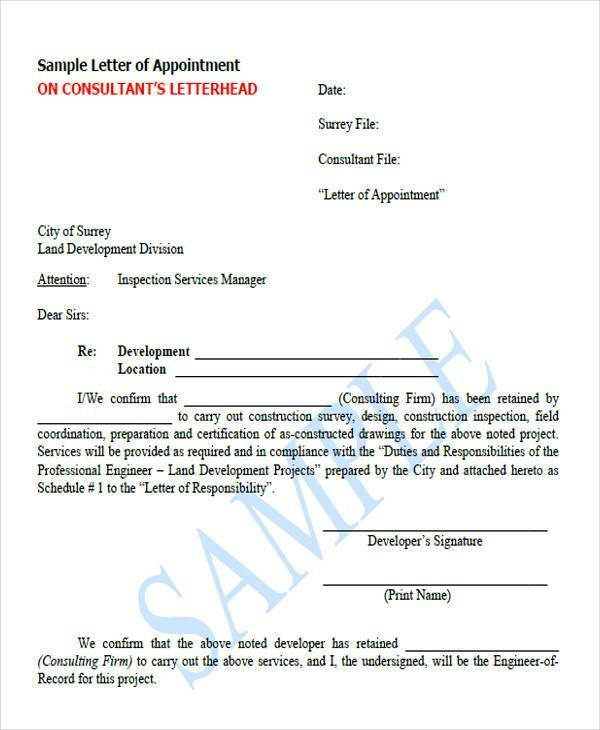 Make sure to provide the employee a copy of the letter once it is appropriately signed. Provide an affirmative closing statement. You need to close the letter on a positive tone. Tell them that if they have any questions, they can easily reach you through a given number. Congratulate them on their new job and tell them how much you are looking forward to working with them. Write the closing salutations and provide a space for the signatures. Observe proper spacing when making the final parts of the letter. When in doubt about your complimentary close, you can never go wrong with “Sincerely.” You then need to sign the letter. 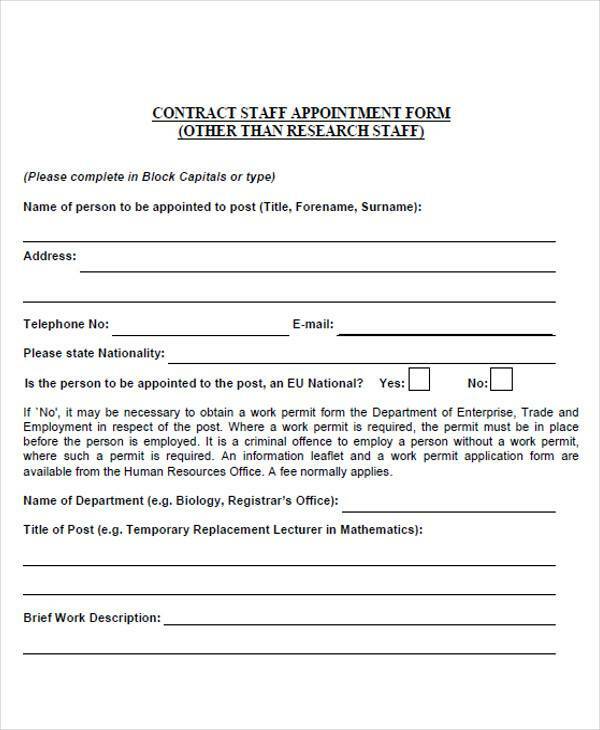 Provide a space for the employee to sign it as well as the authorized company representative. 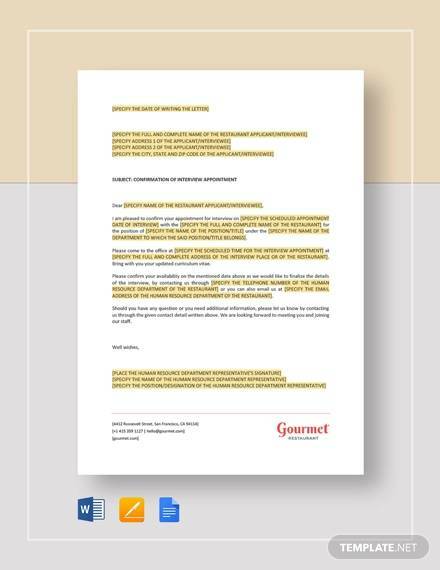 Proofread the letter. 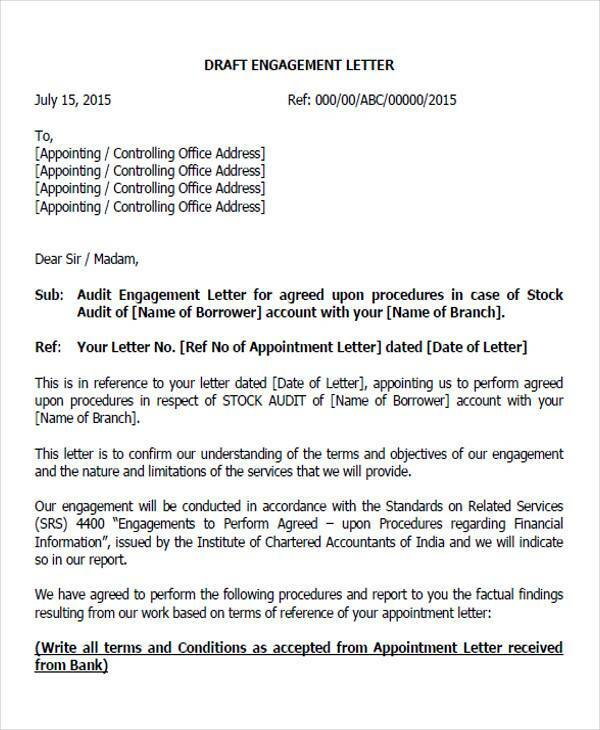 You need to make sure that you have provided all the necessary information in the letter. Also check for any grammar or spelling errors. 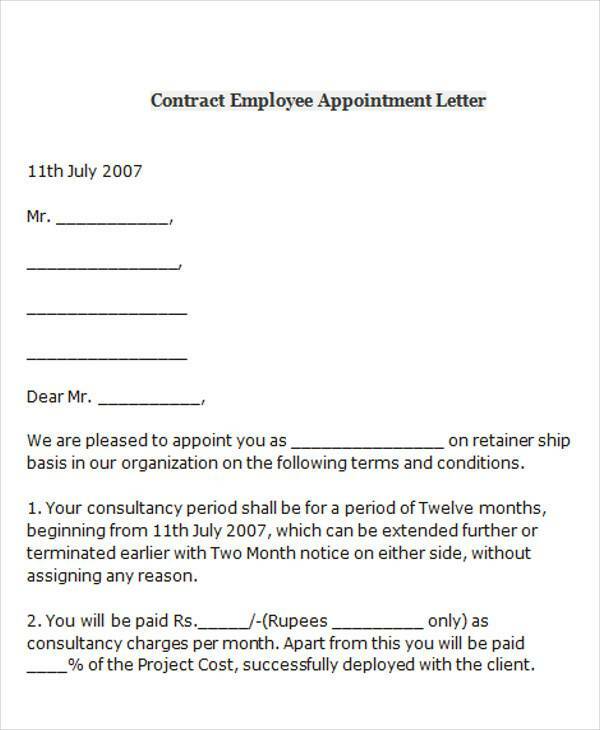 Appointment letters need to contain some necessary elements for it to be effective. It needs to properly address some issues so that if properly serves its purpose. 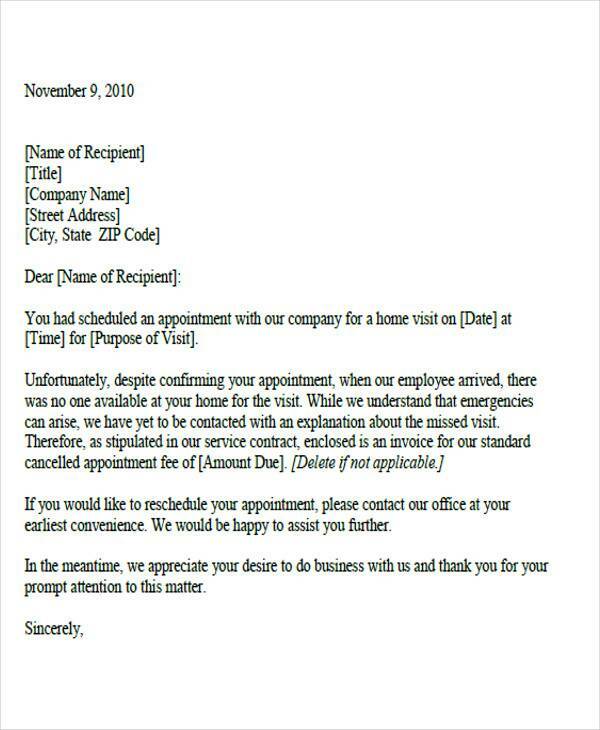 When making an appointment letter make sure that it has all the necessary components. 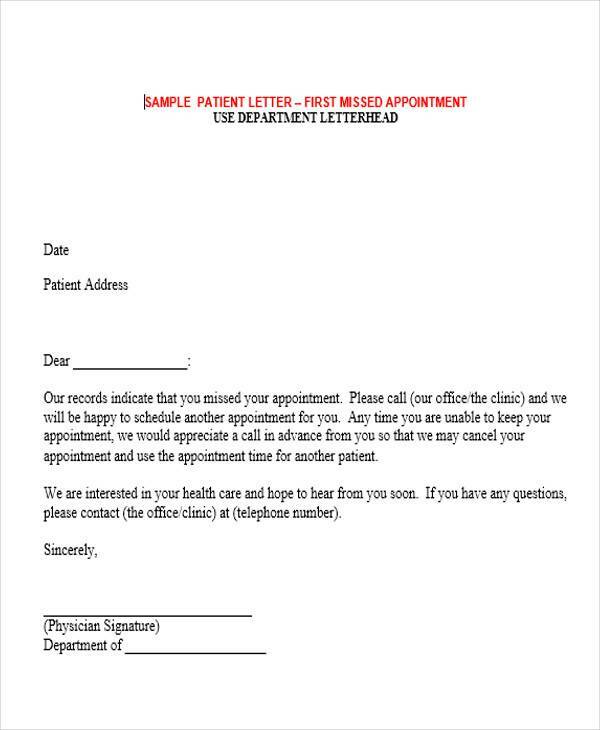 Appointment letters can be used for a variety of tasks, depending on the situation. 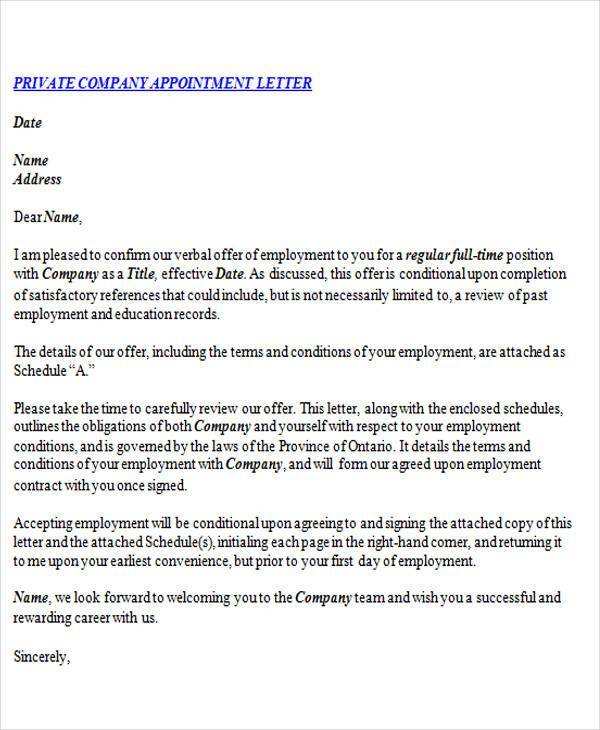 As they are important documents for any company, every organization needs to have an appointment letter for each, especially in a professional setting. These letters can be used in a lot of situations and serve a variety of purposes. 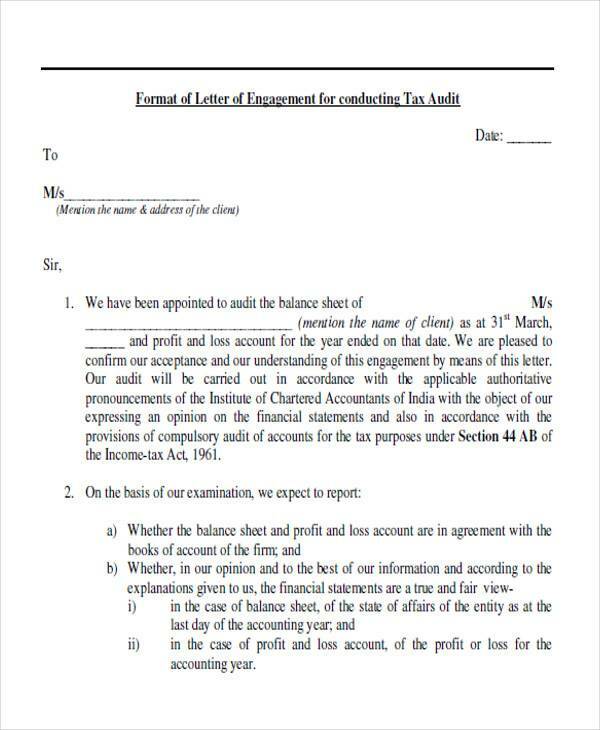 In the sections above, we have already discussed the role of appointment letters in making a job offer. They are then very valuable documents for the human resource department. However, there are still many uses of these documents and they could be divided into different types based on the purpose that they serve. 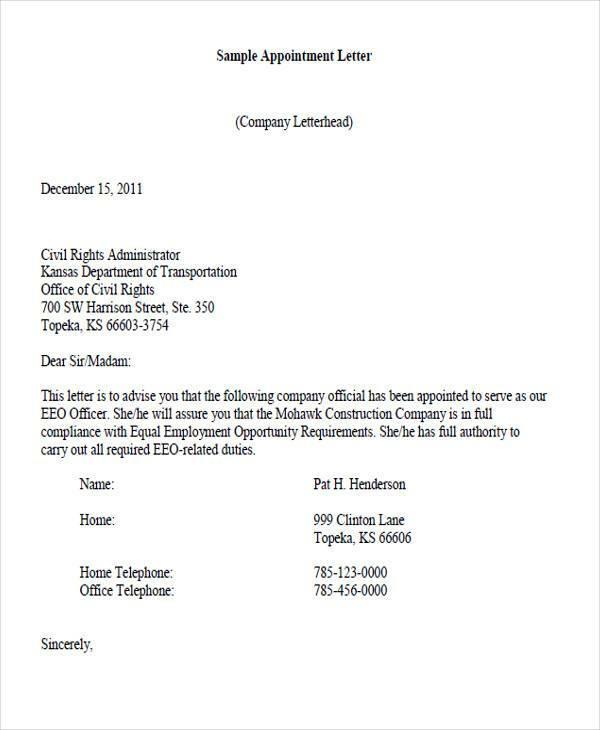 Appointment Request Letter. 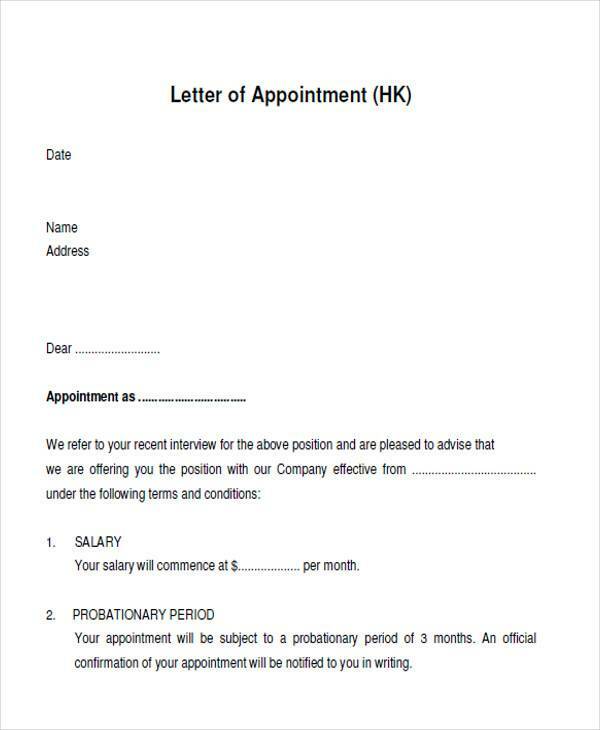 This is a letter that is requesting for an appointment to meet with a person. 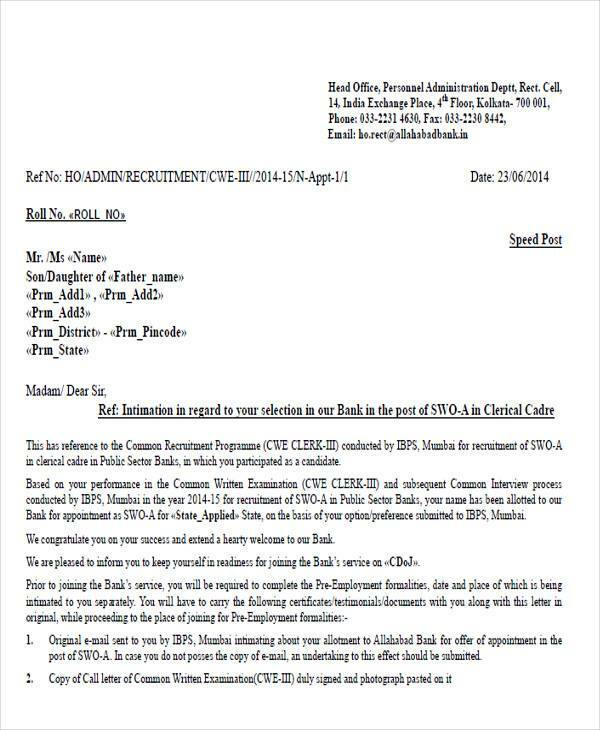 The sender of the letter would need to set a particular day and time to meet with the person. If you are flexible and able to adjust to their time, make sure that you tell them that too in the letter. 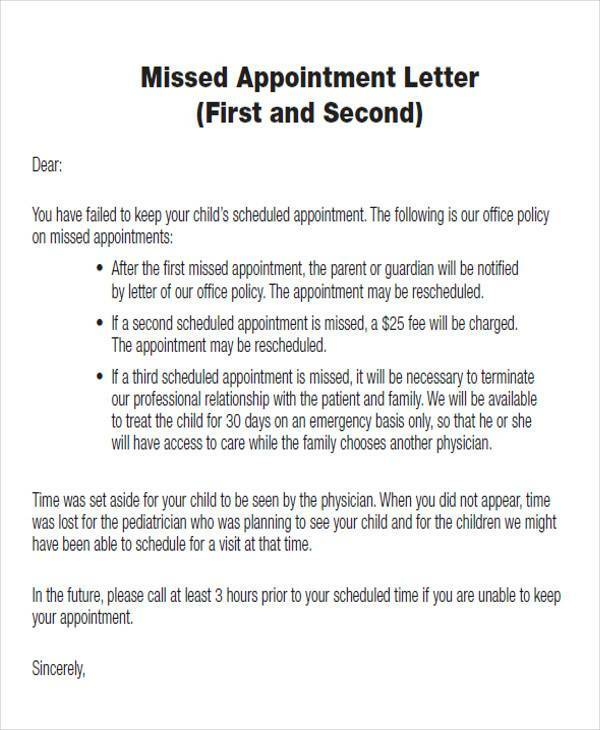 This is mostly sent when making an appointment to see your doctor or to see the school principal. 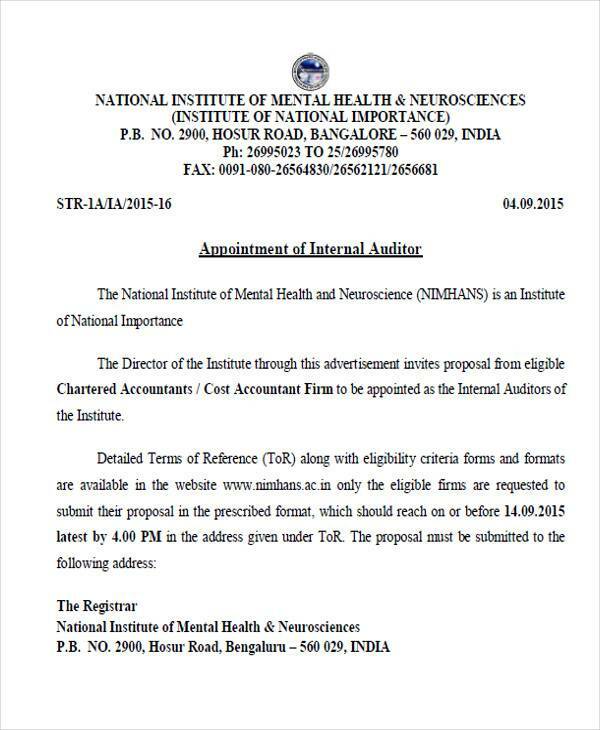 Appointment Reminder Letter. You may have already set an appointment with the person you want to meet with. 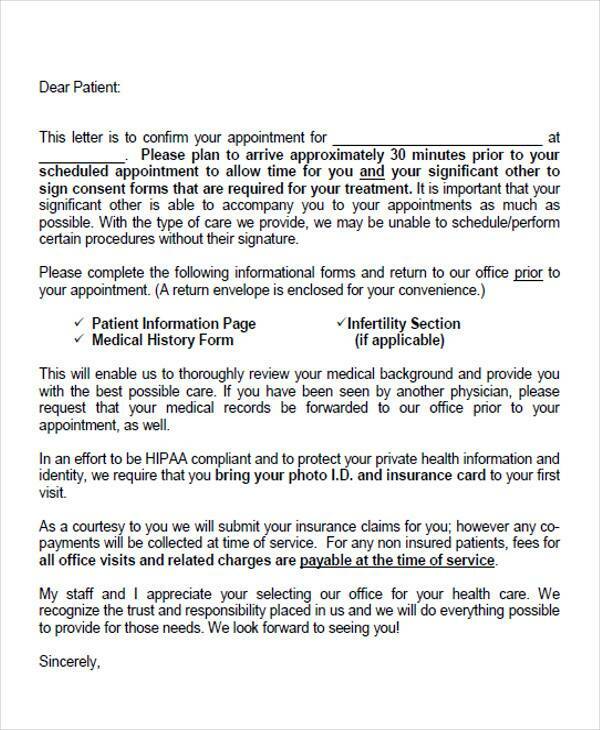 Before the actual appointment date, be sure to send them an appointment reminder letter so they don’t forget about the appointment. 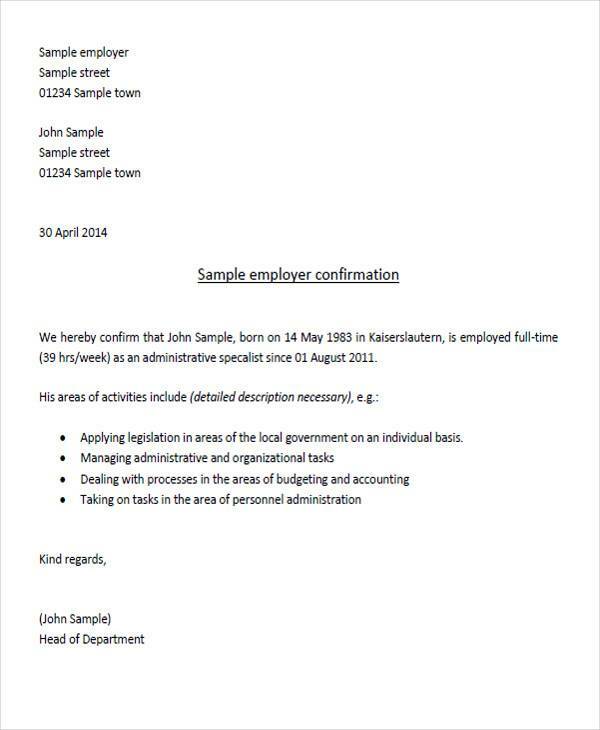 Job Appointment Letter. 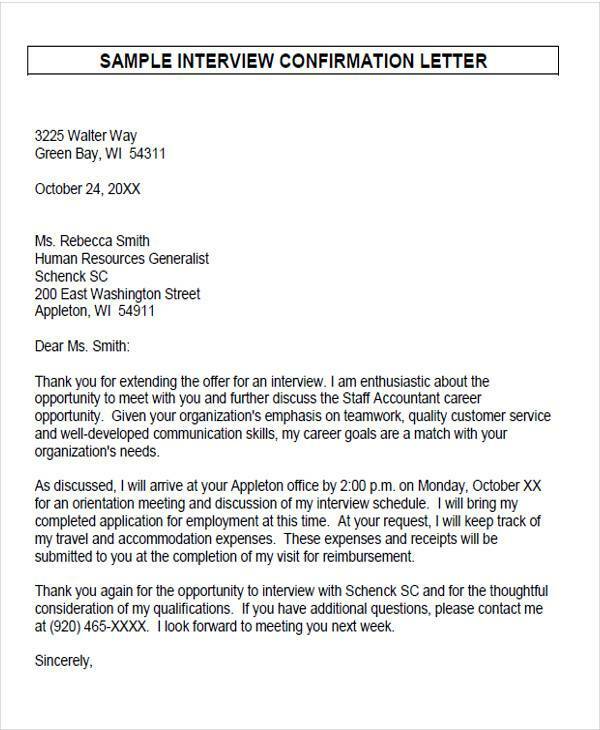 When someone has been accepted to the job after a job offer, this letter is given. 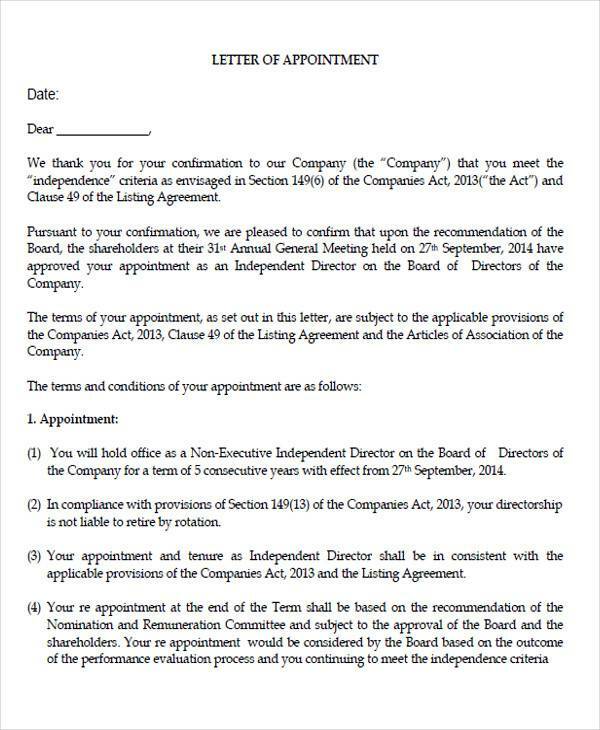 This is a document officially stating that the employee has now been appointed the position that was offered to him or her. 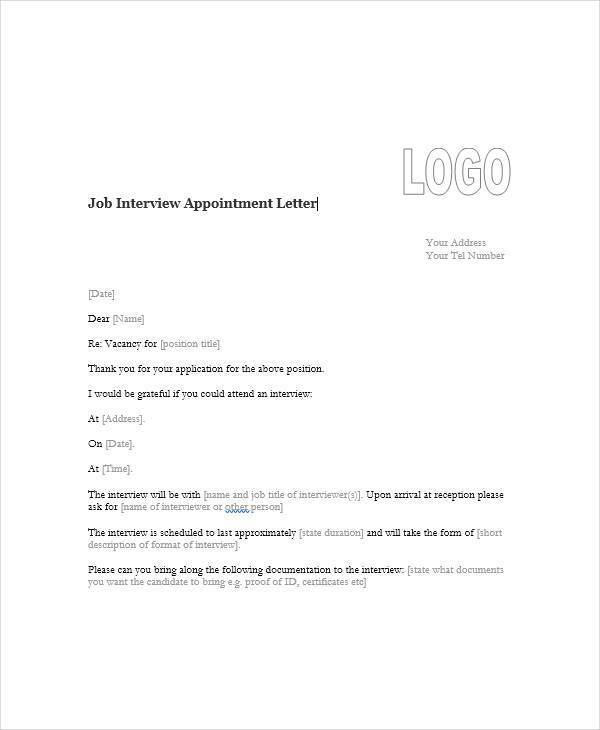 When sending a job appointment letter, be sure to congratulate the applicant and include in the letter details about the job as well as the necessary attachments. 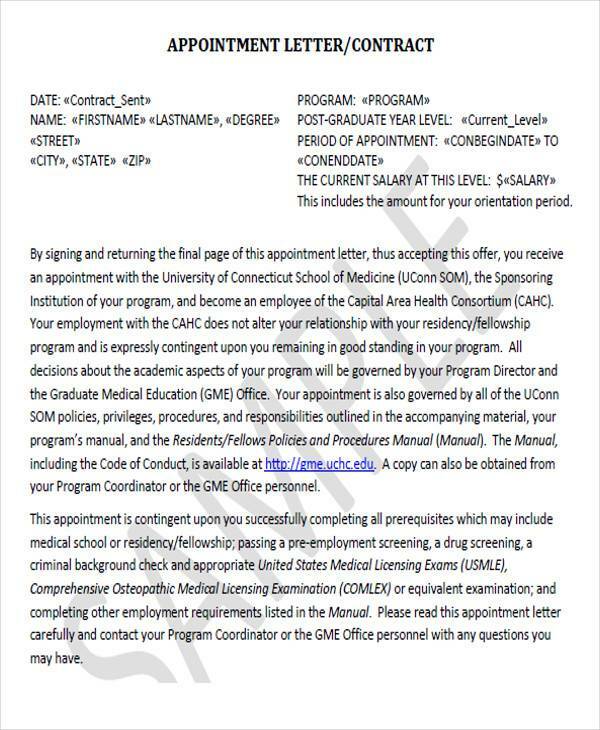 Appointment Confirmation Letter. 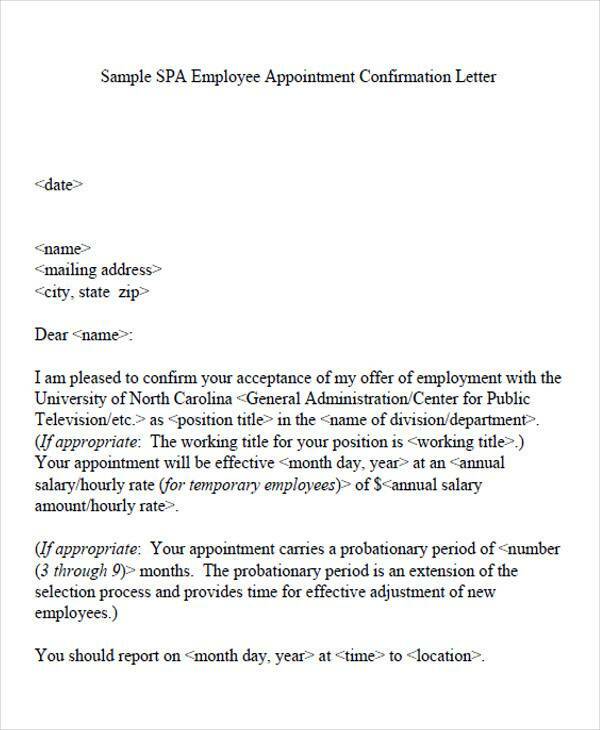 This document is an affirmative answer to the appointment request letter. 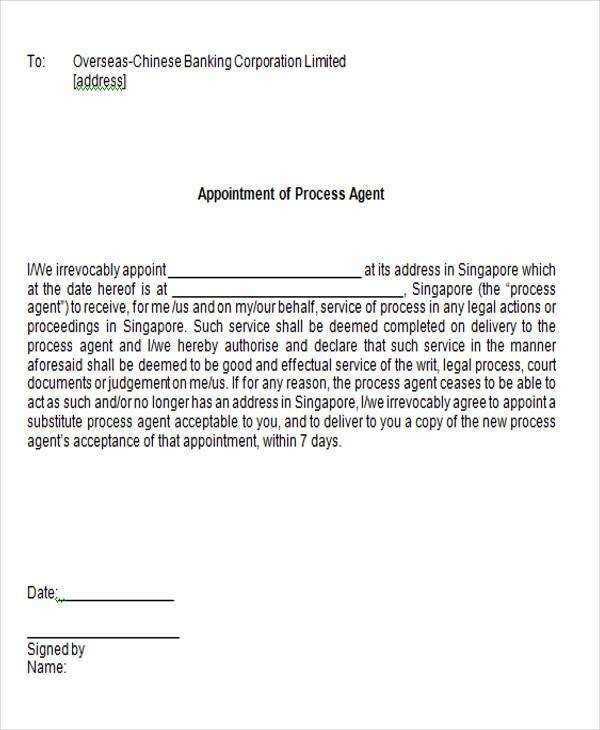 When someone has agreed to the request for an appointment of another person, he or she would need to send an appointment confirmation letter to finalize the appointment. Appointments have become a commonplace in the professional world, especially now that everybody is always busy. There is always something to do. 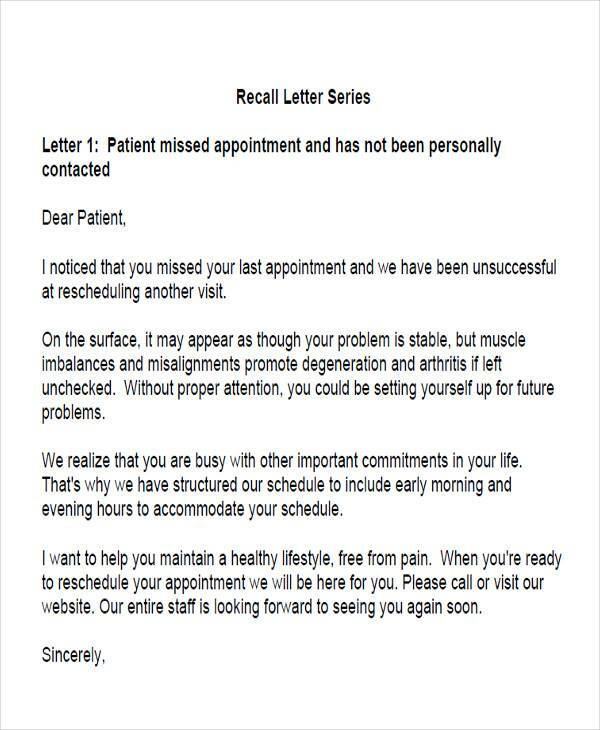 Whether you send a copy via email or by physical mail, appointment letters are the best way of making an appointment. It not only makes for an official request but also boosts your professionalism. 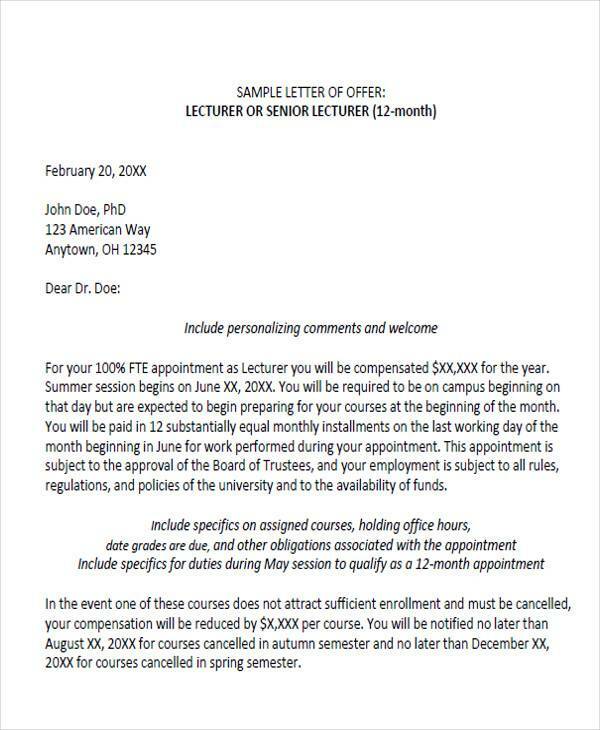 When writing one, be sure to check out these appointment letter samples in PDF. Our letters have all the right elements so you have nothing to worry about.